Big companies like to orchestrate their announcements, and it is probably not a coincidence that IBM announced its plan to build out its SoftLayer public cloud just ahead of its fourth quarter financial report, which showed its systems business being hammered, and also ahead of its landmark $2.3 billion deal to sell off its X86 server business to Lenovo Group. If IBM is walking away from building X86 systems, it had to show that it was not walking away from the public cloud business. In fact, IBM has to show that it is willing and able to compete against the likes of Amazon Web Services, Google Compute Engine, Microsoft Windows Azure, and Rackspace Cloud, which are the four biggest public clouds. All four of these vendors have significant expertise in either designing or working with partners to design custom server and storage infrastructure as well as the datacenters that wrap around them. Being able to profit in this cloud business comes down to the difference between doing infrastructure well and doing it acceptably. It will also require cloud providers to be software suppliers because selling raw infrastructure, even at the relatively high prices that they can command compared to what internal infrastructure costs with experts running it, will not be enough to sustain any cloud provider through the price war that is only now getting started. As part of CEO Ginni Rometty's plan, which is called the 2015 Roadmap by IBM and which has the singular goal of delivering at least $20 in operating earnings per share by 2015, the company has promised that it would generate at least $7 billion in cloud-related sales by the end of that year. This is one reason that back in June 2013 IBM spent a rumored $2 billion to acquire SoftLayer, one of the largest hosting and cloud computing operators on the planet. It is also why IBM has spent tens of billions of dollars buying up software companies with expertise in marketing, sales, and analytics – Coremetrics, i2, Kenexa, Sterling Commerce, StoredIQ, and Unica, just to name a few – over the past several years. Application software is an important part of the IBM cloud story because when companies ask IBM to run its software on its cloud, that is going to count as cloud, not software, revenues. The last time that IBM was having financial difficulties in the early 1990s, a new CEO, Lou Gerstner, came on board and one of the first things that IBM did was sell off its portfolio of application software. The idea was for IBM to establish itself as the system of choice to run the applications written by any of the big software developers, positioning Big Blue as a kind of Switzerland, a safe bet. This, to a large extent, worked, and it helped bolster IBM's fledgling services business, too, since all of this complex software needed experts to install it. Fast forward twenty years, and the landscape has changed. Now, the application software is one of the last pools of profit left in the IT market and companies don't want to pay experts to install software. They want it to be automatically available, with a few mouse clicks and a corporate credit card. Young companies want a service, not a datacenter of their own. If IBM is going to sell cloudy applications, it is going to have to build out the cloud infrastructure to support those applications. And in doing so, it will create a vast cloud infrastructure that will also be able to support both bare-metal and virtualized applications created by customers or by third party software developers. IBM chose SoftLayer because it had expertise in running both bare metal and virtualized applications. You can't do bare metal on the AWS, Azure, and Google clouds, but you can do hosting at Rackspace and mix it with that company's cloud infrastructure. Lance Crosby, the CEO at SoftLayer who has retained that role as the company has become a subsidiary of IBM, tells EnterpriseTech that SoftLayer has stuck to its traditional pattern of adding about 20,000 servers to its fleet every year. It had just over 100,000 machines in May last year, and it has over 120,000 machines right now, located in its 13 data centers. Its Dallas datacenter is the largest in terms of server capacity, followed by smaller facilities in Houston, Seattle, San Jose, Amsterdam, Singapore, and Washington DC. In addition to a fair number of oil and gas companies, who look to SoftLayer for incremental processing capacity, the company has a fairly large number of customers who create PC, mobile and social online games and who together have well over 100 million users. When SoftLayer started out in 2005, there was no custom server business to speak of, so the company teamed up with Supermicro and has been a customer ever since. With the $1.2 billion in cash that IBM is putting into SoftLayer, Big Blue's public cloud is going to expand considerably faster. First, says Crosby, SoftLayer is going to take control of a dozen IBM datacenters that it was using to support its SmartCloud public cloud. And this year, IBM will build an additional fifteen new datacenters to spread its public cloud footprint more evenly around the globe. Two of the new datacenters – one in Dallas, Texas and the other in Ashburn, Virginia – that IBM will be building for SoftLayer will have FedRAMP certification, showing that it can meet the security requirements of US Federal government agencies. Thus far, clouds from Hewlett-Packard, AWS, Microsoft, CGI, AT&T, Lockheed Martin, and IBM have attained one or another FedRAMP seal of approval. 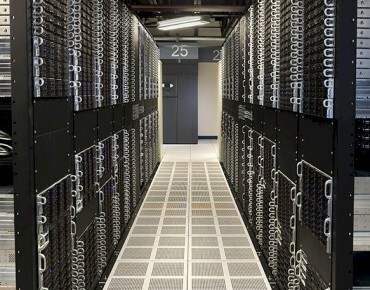 These will be separate facilities from the existing Dallas and Ashburn centers that SoftLayer has. All SoftLayer services will be available in all of these datacenters by the end of the year, and that includes bare-metal provisioning using SoftLayer's Infrastructure Management System (IMS). The portion of SoftLayer's cloud infrastructure that is virtualized is sliced up using the CloudStack cloud controller from Citrix Systems. Like cross-state rival Rackspace Hosting, SoftLayer uses the commercial-grade XenServer hypervisor from Citrix to dice and slice its server infrastructure; significantly, AWS uses a homegrown variant of the Xen hypervisor (the open source foundation for XenServer) for its cloud. That virtualized portion of the SoftLayer cloud only accounts for about 20 to 30 percent of the revenues at the IBM unit, according to Crosby. Bare-metal machines account for about 40 percent of the revenues and the remaining 30 to 40 percent is for private clouds that companies set up on their own on SoftLayer iron. (The percentages of revenues for these different business units are changing quickly as IBM has brought over 2,400 new customers to SoftLayer base, which was 21,000-strong when the deal was completed last July.) These private clouds run Microsoft Hyper-V, VMware ESXi, Red Hat KVM, and XenServer as well as a number of different cloud controllers, including Eucalyptus and OpenStack. "That's the distinction between the top three or four cloud companies," explains Crosby. "We have all built our own operation support systems and business support systems, or OSS and BSS in the lingo, to drive the entire fleet. And then virtualization is just an add-on component for product sets. We still find that the vast majority of our customer base likes the bare metal, whether they are running their applications directly on it or setting up a private cloud." Just ahead of the IBM-Lenovo deal announcement last week, Crosby told EnterpriseTech that there had been no pressure from Big Blue to shift away from Supermicro for its server fleet. SoftLayer was working with the System x team to identify what machines in the IBM catalog might be deployed in SoftLayer datacenters. What IBM did need for SoftLayer to do is bring Power-based machines into its cloud, supporting customers using IBM's SmartCloud Enterprise+ service, which offered slices of X86 and Power systems for customers to host their applications. The Watson question-answer software, which is at the heart of the new Watson Group announced earlier this month, runs on Power systems and will be available as a service on the SoftLayer cloud. Crosby says that SoftLayer will be rolling out systems based on the future Power8 processor from IBM, the first of which are expected sometime during the middle of the year. Technically. The Watson software would run on an X86-based server sporting Linux or Unix, but IBM feels that the memory bandwidth of Power-based machines helps Watson run better. IBM will have capacity for Power Systems, supporting AIX, Linux, or IBM i operating systems, in all 40 datacenters by the end of the year. SoftLayer is doing the demand requirements now for the Power portion of its cloud, and will install whatever classes of machines they will need. On the X86 front, SoftLayer has always installed a mix of machines with one, two, or four sockets with increasing amounts of memory and I/O as the boxes get fatter. "We are looking at doing eight-ways as well, since we have so many diverse customers," says Crosby. IBM has over 110 different system and application programs that can be deployed as a platform or software service for customers, and Crosby says that many of these were only available through one, two, or three IBM datacenter locations. The goal is to get them all ported to the SoftLayer cloud and running in all datacenters by the end of the year. So how big will the SoftLayer fleet get as part of the 2014 build out? "If you do the math, it will be several hundred thousand servers," says Crosby. "And if you count virtual machines, it will be in the millions." That might not be the million or so physical machines that Google and Microsoft have deployed, but it is on par with the server fleets or Amazon and Facebook. And the investment shows that IBM is willing to invest to create the platform for its own applications as well as those of customers to run. "At the end of the day, this is definitely an economies of scale game," says Crosby. "We firmly believe that there are only going to be probably three or four global players simply because of the capex, reach, and technology required. We are going to have an investment that is commensurate with our competitors."